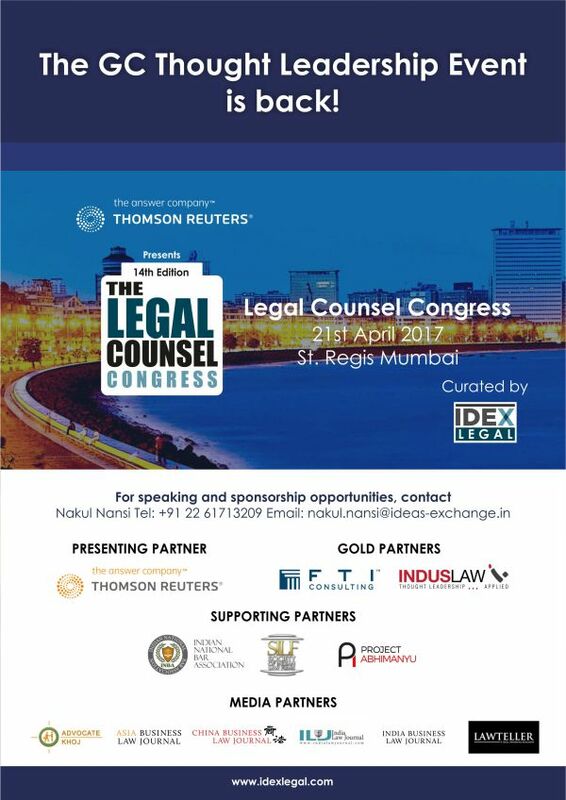 IDEX LEGAL is going to organize the 14th edition of the Legal Counsel Congress. The conference focuses on addressing operational challenges faced by general counsels. The purpose of the conference is to support the in-house counsels in attaining greater operational excellence in the context of them and their legal departments becoming intrinsic business partners for corporate India.